VideoPad Video Editor is a full-featured, lightweight PC editing program, that has all the features you need without taking up as much space. A lot of novice users out there tend to (mistakenly) assume that paying a higher price gets you better features. Well, this time, they couldn’t be further from the truth. 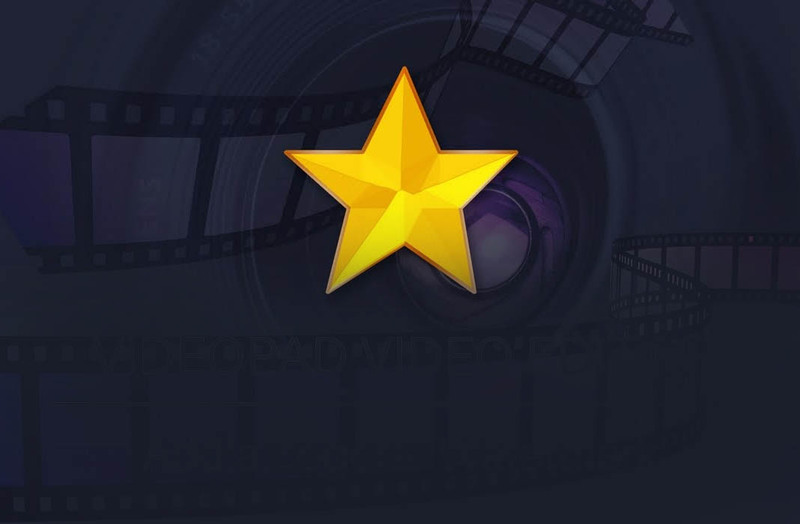 VideoPad Video Editor is a prime example of premium software that comes with a surprisingly advanced set of tools for just a fraction of the cost other video editors come at. Throw any file format VideoPad Video Editor’s way, you’ll find this program supports a seemingly endless list of video formats seamlessly — even high res 4K files. Not to mention its intuitive interface which will instantly ring a bell among more seasoned users. Simply drag and drop your files to put together whole productions with a soundtrack and video clips. Each work space allows you to access any of its multiple functions, easy peasy. 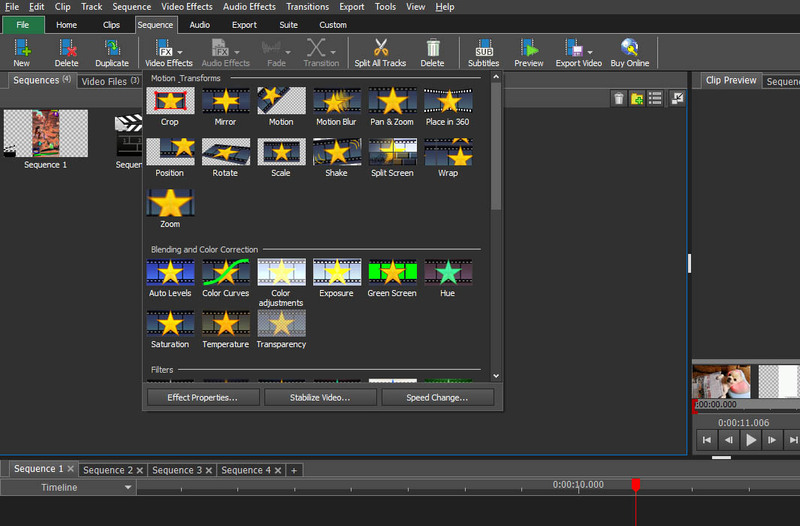 With a straightforward and simple interface that gets right to the point, VideoPad Video Editor is practical for both power users and those with a little less experience under their belts. The learning curve here is very manageable, especially taking into account the free How-to videos included within the help bar. Basically, we’re looking at a program that both you and your parents could use just as easily. Edit subtitles, record full screenshot videos, grab any of the sound effects in its enormous library, convert text to audio, and load more; you’ll find that you can rev videos up just as easily as you can edit them into slow-mo mode, or cut out segments. Where VideoPad Video Editor really busts out its moves is when you’re looking to add in post-processing edits like transitions and animations, which are easy enough to add to your video. What’s more interesting is that, like we said earlier, its interface makes things even easier. Dropdown menus with full options for each feature are easily accessed from its main screen, but you won’t be at a lack of extra functions, given that as soon as you browse this program you’ll find sub-menus galore to toggle even the most obscure setting. One of the added features in this suite is that you can work with flat 360º image files. Practically any smartphone can grab panoramic images, which can then be exported into VideoPad, where you can add on a wrap effect or even move your camera around within each scene to add special effects. In terms of export formats, VideoPad has a just about anything within the spectrum of files most users would need. 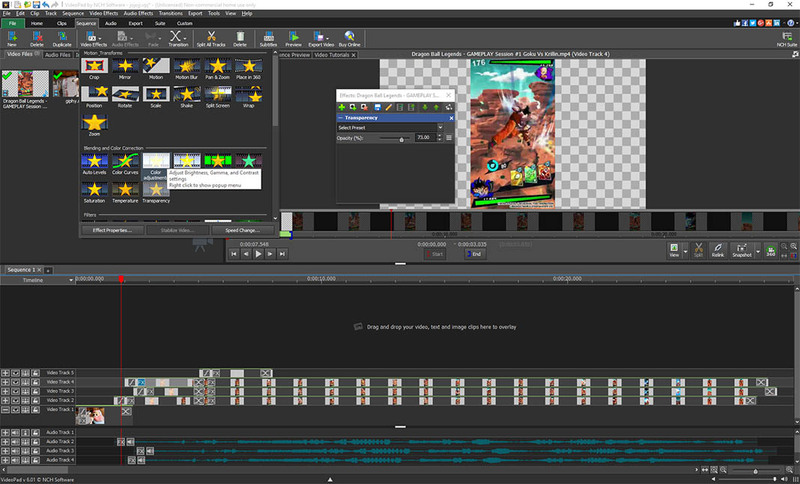 You can also produce videos for any kind of platform with the added-on bonus of being able to include several preset values to choose from when it comes to directly uploading your creations onto YouTube (720p, 1080p, 1440p or 2160p). Plus you can easily make them compatible with specific devices like iPhone, Android and portable consoles; or burn them onto a bluray. After running trials on the latest version of VideoPad Video Editor, our in-depth take on it couldn’t be better. Best of all is: it’s a lightweight powerhouse that leaves nothing out from its heavier counterparts. Plus, its quick install time, huge array of features, quick run time and small size make it an ideal program for mid-range PCs. Download the trial version of VideoPad Video Editor here, completely for free, right here. And if you’re convinced, go ahead and pick up a copy via its official web store in any of its versions: VideoPad HomeVideoPad Home (which only allows two soundtrack files and doesn’t support plug-ins) or Master’s Edition (which eliminates these two restrictions).